Arne Dekke Eide Næss was a Norwegian philosopher, who was born in Aker (now part of Oslo) on January 27, 1912; he died in Oslo on January 12, 2009. Arne Næss was one of the key influences that shaped present day theory of argumentation, but has in his long and very active life also contributed in many ways to a number of other areas. Perhaps he is now best known for his ecological philosophy and his concern for the planet. The obituaries that appeared shortly after his death had the same focus and were generally not very informative about his contributions to the theory of argumentation. This may be comprehensible in the light of the great public interest in environmental issues and Næss’s prominent position in that discussion. Yet, it will be appropriate to try, in the present piece, to compensate a little for this one-sidedness and to stress what Arne Næss did for the development of theory of argumentation. Other matters will be mentioned briefly. Arne Næss studied philosophy with astronomy and mathematics at the University of Oslo and also at the Sorbonne in Paris. In 1933 he took an M.A. at the University of Oslo, being the youngest person ever to take that degree. In 1934–1935, when he studied in Vienna, he got into touch with the logical empiricists of the Vienna Circle. In 1936 he earned his doctorate at the University of Oslo by a dissertation contributing to an empirical and pragmatic philosophy of science: Erkenntnis und wissenschaftliches Verhalten [Knowledge and Scientific Behavior]. The empirical and pragmatic approach was confirmed in his Truth as Conceived by Those Who Are Not Professional Philosophers (1938). In 1938–1939 he did psychological postdoctoral research in Berkeley and in 1939 he was offered the chair of philosophy at the University of Oslo. At that time he was the youngest professor of Norway, and the country’s only professor of philosophy. He held the chair until an early retirement in 1970, which was about midway in his career. Arne Næss sympathized with the logical empiricists but also criticized them for a dogmatic strain and a lack of empiricism with respect to their own fundamental tenets. In his “Wie fördert man heute die empirische Bewegung? Eine Auseinandersetzung mit dem Empirismus von Otto Neurath und Rudolph [sic] Carnap” [How Can the Empirical Movement Be Promoted Today? A Discussion of the Empiricism of Otto Neurath and Rudolf Carnap], which was written in the years 1937–1939, with notes added in 1956, Arne Næss shows how discussions between logical empiricists and philosophers with opposing views could be improved. 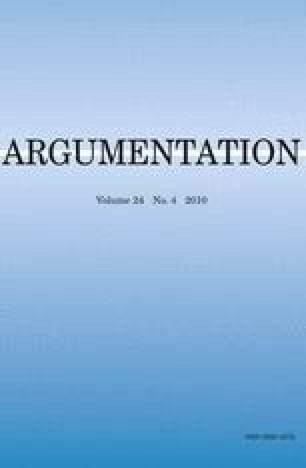 This paper is still of interest for contemporary theory of argumentation as it deals with a case of the vexing problem of arguing under deep disagreement. Næss’s empirical approach to semantics, as exemplified by his 1938 work about the concept of truth, attracted a whole group of researchers investigating semantic relations, such as synonymy, by means of questionnaires. Together they formed the Oslo group or Oslo school. The principal philosophical work supporting these investigations was Næss’s Interpretation and Preciseness: A Contribution to the Theory of Communication (1953). This voluminous work still deserves to be studied by argumentation theorists interested in semantic problems that occur in arguments, for instance problems of misunderstanding and equivocation and of merely verbal agreements or disagreements. In general, empirical semantics can be a great help for those argumentation theorists that want to set up systems of rules for discussants so as to enable them to deal with such problems. Some specific studies by Næss that argumentation theorists may wish to consult are his An Empirical Study of the Expressions “true”, “perfectly certain” and “extremely probable” (1953) and his Democracy, Ideology and Objectivity: Studies in Semantics and Cognitive Analysis of Ideological Controversy (with Jens A. Christophersen and Kjell Kvalø, 1954). The most influential work on argumentation by Arne Næss was his textbook En del elementaere logiske emner [Some Elementary Topics in Logic], which had a first mimeographed edition (1941) followed by many revised and extended editions over the years. The English translation by Alastair Hannay bears the title Communication and Argument: Elements of Applied Semantics (1966). For years, this textbook had to be studied for the examen philosophicum, a preparatory examination compulsory for all students of the University of Oslo, with the exception of those studying dentistry or pharmacy. This, of course, must have contributed a lot to the book’s influence, but moreover the book has been translated into many languages and found its way around the world. Avoiding tendentious references to side issues. Avoiding tendentious renderings of other people’s views. Avoiding tendentious argument from alleged implication. Avoiding tendentious use of contexts. The explanations Næss gives of these norms show them to be precursors of some of the pragma-dialectical rules for critical discussion. Arne Næss had a wide range of interests. In 1958, he founded the interdisciplinary journal Inquiry (1958) of which he was for many years the editor. He was a prolific writer on many philosophical issues besides empirical semantics and argumentation theory. Only some of these, and only a few of the many books he wrote, will be briefly mentioned here. There are works on epistemology, philosophy of science, comprehensive systems, and skepticism (Scepticism, 1968; Hvilken verden er den virkelige? [Which World is the Real One? ], 1969; The Pluralist and Possibilist Aspect of the Scientific Enterprise, 1972); but also on the philosophy of Spinoza (Freedom, Emotion and Self-subsistence: The Structure of a Central Part of Spinoza’s Ethics, 1975); on Gandhi and nonviolence (Gandhi and Group Conflict, 1974); and, perhaps best known, works on the relation between man and nature (Ecology, Community and Lifestyle: Outline of an Ecosophy, 1989). The descriptive academic study of this relationship he called ecophilosophy, but an approach based on one’s personal values and view of the world he called ecosophy. His own ecosophy was called ecosophy T, where T stands for Tvergastein, Næss’s favored den in the mountains of Norway. The life of Arne Næss was not all filled with theorizing, but also contained much action. During WW II he joined the Resistance. He also participated in the Peace Movement. As he became impressed by Rachel Carson’s 1962 book, Silent Spring, he took part in Green Party politics and in nonviolent environmental action: He chained himself to the rocks at the Mardal waterfall to protest against a projected dam (1970). He inspired the deep ecology movement, which in contradistinction to the shallow ecology movement stresses the intrinsic value of nature. Arne Næss became also famous as a mountaineer. He led two Norwegian expeditions (1950, 1964) to the Tirich Mir (7,708 m, Pakistan), the highest mountain of the Hindu Kush range. The first of these was also the first to conquer the mountain. He loved boxing, which he practiced until the end of his life. During his life Arne Næss has been honored in many ways. In 2005 he was knighted by king Harald V of Norway as a commander with star of the Royal Norwegian Order of St. Olav First Class. Many other awards preceded this event, but the ISSA Distinguished Research Award was still to follow (2007), an award which was deserved by his great contributions to argumentation theory for which all people in this field will continue to be grateful. Arne Næss was married thrice, first to Else Hertzberg with whom he had two sons: Ragnar (1942) and Arild (1945–1973), second to Siri Blom, with whom he had a daughter: Lotte (1956), and lastly and for the rest of his life to Kit-Fai Tsui.